Comments: A really good book. I didn’t find it as new simply because it involves broadening Jeff Bezos’ philosophy about people who are right a lot continually changing their mind. 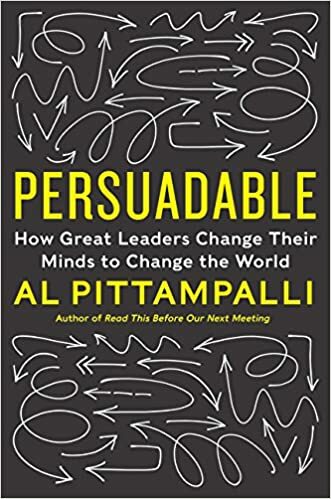 In Persuadable, Al helps us understand how to think about being persuadable and shares a compelling rationale for being so. 1. Two of my favorite business tales – Jeff Bezos on being right a lot and Ray Dalio’s investment approach. In 1981, Dalio was sure US was on the brink of a recession because he felt the government was too leveraged. He began publicizing it. But, to Dalio’s surprise, the stock market surged and led to a tremendous embarrassment and loss of fortune. So kept detailed records of every trade he made and began noting what happened with every investment – learning from both his success and painful losses. Pain + success = progress. Kept finding “rules” for the market and kept improving it. 2. Thanks to Ralph Waldo Emerson’s writings which normally emphasize leadership bravado and single-mindedness, we focus a lot on consistency. So much so that whole political campaigns are won the moment a candidate switches views on a topic. While the rationale for this is because political candidates are often guilty of changing views based on when it suits them, we also end up punishing those who’re changing it because of better data. Abraham Lincoln, for example, was a notorious flip flopper who changed his views on the civil rights movement as new data presented itself. even black scholar and activist W E B De Buy? who was often critical of Lincoln admired his always critical and flexible brand of leadership. 3. The overall point of the book is to view our approach to life and business as an evolving thesis. Seek new information, keep improving the thesis and get better. 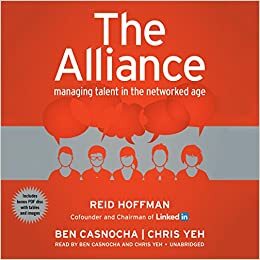 Comments: I finally got to reading this book thanks to Ben Horowitz publishing his foreword on his excellent blog. I read and loved the book and can see why Ben had such wonderful things to say. This book deserves its legendary status because it was one of the first examples of an incredible practitioner taking time out to share his wisdom and learning. I nearly put this book down as priority 2 as Ben Horowitz outdoes this book with “The Hard Thing about Hard Things.” Other books have since lifted some of Andy’s insights and made them more commonplace. 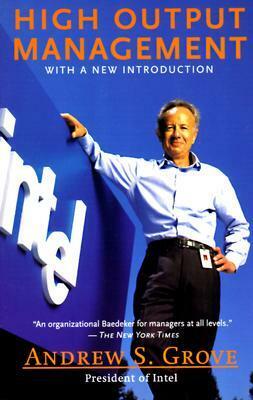 However, I decided against that as Andy Grove’s no nonsense style and piercing insights earns it a place among management classics. 2. Training is the leader’s job. The less the subordinate’s task relevant maturity, the moer the leader should spend time structuring and training the subordinate. Customers should not pay for a poorly trained employee. 3. Meetings are a vital management tool. Don’t waste time criticizing them. Instead, prepare hard and make them worthwhile. Comments: Powerful book that is best characterized by a single powerful insight – most CEO failures are really failures of self awareness. It is hard for senior leaders to be self aware because, as you move up, your jokes become funnier and your insights become more insightful. I didn’t do a book summary but did reflect on the takeaways from the book – that’s here. Comments: Good book – especially if you are interested in technology. Lots of interesting points of view on why Google chose to operate the way they did. This is particularly applicable because many of the best known technology firms followed Google’s lead in terms of workplace environment. I do think there’s an important causality issue in the book’s logic. 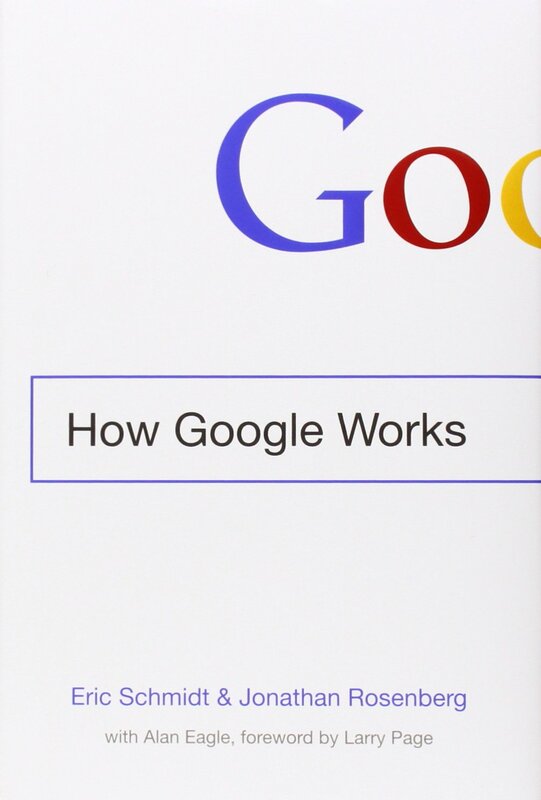 Eric and Jonathan often make it sound that the way they built Google’s culture and norms resulted in Google’s success. I think it is the other way around – their extraordinary technical insight enabled them to build their unique culture and norms which, in turn, reinforced their technical superiority. 1. Open plan officers are important for creative work as they result in “collisions” of people that result in ideas being passed around. They are also important as they keep cross functional teams working together. It is just vital that you find ways to have workspaces where introverts can go and focus/get alone time as necessary. 2. Why have perks? Make the office a place where people really want to come to work. The more people want to work from home in jobs that require teamwork and creativity, the more you have a problem. Comments: A nice read on Nelson Mandela’s life. 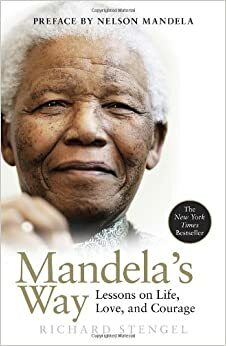 I took away a few nice stories and the quote – “courage is not the absence of fear but the realization that there are things more important than fear.” Mandela really lived that quote. I was hoping for more depth, however..
1. Mandela really had to change with the times. He was a revolutionary of sorts at first and, as he grew, he became the peacemaker. His 26 years in prison were fundamental to that change..
2. He repeatedly demonstrates the power of choice. He even alienated those who supported him by adopting a peaceful political stance following his release (which was negotiated in fairly contentious circumstances). He chose not to lead with anger.. and what a great choice that turned out to be. 3. Mandela always was a charismatic change maker. He had his way even in prison – that leadership streak never left him. As he matured, he just chose to channel it differently. Once he’d made that decision, however, he put in extraordinary effort to make it happen. For example, he learnt Afrikaans to understand his then-enemy and made friends with the guards. In doing so, he expanded his capacity to understand people differently. He no longer saw his captors as the enemy. Instead, he realized they were men just like him and understood where they came from. He went on to embrace their sport – Rugby – and used the world cup to unite the country in 1995 (Cue: The movie Invictus).